I’ve recently went to see a talk at the British Library which was to do with business in the media sector. There were three presentation in all but what really caught my attention was the second talk which was titled ‘Something about The Beatles’ and the reason for that is because of the way the speaker engaged with the audience in a manner I haven’t seen before. Being a successful entrepreneur himself and a best selling business author Mike endeavoured to take you on a journey – a Beatles journey – while at the same time applying metaphors to show you how your business can transform from early stages to eventual success just like The Beatles did. One of the main reasons people want to become entrepreneurs is in order to make money yet at the same time Mike gives a better reason to become an enterpreneur and that is in order to create wealth. We’ll cover the difference between money and wealth shortly. The first advice Mike gives to entrepreneurs starting out is to find a foil, someone with the opposite set of skills to yourself. Paul McCartney and John Lennon is an example of two people finding their foil: Paul the extrovert who enjoyed playing live while John the introvert who was much happier working in the studio. On your journey to entrepreneurship you will come across what is called A Critical Moment whereby you’ll have to seize the moment – Carpe Diem – before it passes you by. Whether it’s engaging with the potential client, giving a talk at the live event, or getting the investment required for your business. For the Beatles the critical moment was when their song reached number one in the American charts and they were to appear on The Ed Sullivan Show were 20 million people were expected to watch. In fact, the TV audience was 73 million, the largest in history. Pain – what problem do you solve? Premise – Exactly what do you do? Proof – Do you have a successful customer story? With Pain you could argue that back then Elvis Presley was one of the biggest Rock n’ Roll singers of his generation but he didn’t venture out from his own country and therefore neglected to perform live in front of his overseas fans. The Beatles, on the other hand, came from Liverpool, UK and were willing to travel with their music to assuage the young hearts of their fans. They filled a gap (a pain) where some musicians couldn’t reach their live audiences in and thereby caused a flair while doing the tour. Ask yourself, for your business, what is the pain I’d like to solve for my customers and where is there a gap in the market I can fill in? The Premise The Beatles had was to play great songs that the audience can afford to purchase and listen to even at their local clubs. Rock n’ Roll songs for teenagers that speaks directly to their hearts. Songs that can free their spirits and allow them to shake their worries away. You could tell from The Beatles looks and performance exactly what you were getting: Local boys, who are reliable and nice. Same with your products or services. How can you promise on the premise that will deliver what’s on the tin without being too abstract or obscure? The Proof is in the pudding as they say. The Beatles were soon to become the top live act in the North West of England as they kept on touring and exposing their talents for the world to see and acknowledge. Sooner or later you will start to build up a client base of customers who will vouch for your product or services and it’s your job to share those moments with other potential customers so that you can expose yourself further afield and branch out. When the success came to The Beatles they faced fierce competition from other bands, including The Dave Clarke Five, The Hollies, The Rolling Stones and The Monkees. The Beatles released further albums which kept them in good stead but soon Brian Wilson came along with the Beach Boys and aimed to create a much better album than they did. The Beatles privately acknowledged that ‘Pet Sounds’ by Brian Wilson and The Beach Boys was at least as good as ‘Revolver’, yet their response was ‘Wait till you hear Sgt. Pepper’ their follow up album which innovated even further and is now their best selling album. As an entrepreneur you products or services will face competition which should only motivate you to raise your game and innovate further to compete not necessarily with others but with yourself. It’s really challenging yourself to be better than you currently are. The Beatles in 1967 were at the peak of their powers as well as releasing ‘Sgt. Pepper’s lonely hearts club band’ which stayed at the number one album charts for fifteen weeks they also released ‘Strawberry fields forever/Penny lane’, arguable the best double A-side single ever. Business in general, and entrepreneurship in particular is a very simple game with simple rules, even though it can involve hard work and long hours. In other words, you gotta stay in the game. Most times we don’t get to pick the game but we do get to pick how we play it. Which brings us to the Fourth P in the entrepreneurial spirit. This one stands for Purpose. 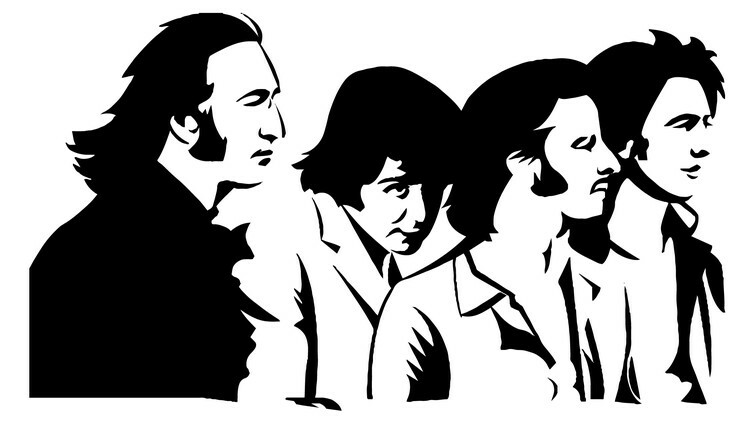 If we look back at The Beatles today we can see that their brand is as strong as ever and their legacy is secured. We can hear their tracks on various ads on television, view their music on youtube clips and even purchase their songs on iTunes which was licensed by Apple in 2010. That is the question you need to ask from your business – as an entrepreneur – what legacy do you want to leave behind? Or better yet, what do you want to be remembered for? To go back to the question I raised earlier of the difference between Money and Wealth? Money is defined by what you have in your pocket, in your bank account. Whereas wealth is what you would have if your money disappeared. It’s your reputation, what you know, whom you know and how nice you’ve been to the people along the way. The Chinese describe this personal reputation and trust as your Guanxi. After the Beatles split up they each went their separate ways with the aim of starting anew. George Harrison was one of the first to build up his Guanxi when he organised a charity concert for Bangladesh in 1971 long before Live Aid. If you look at the last track The Beatles recorded on the ‘Abbey Road’ album there is the aptly titled song ‘The End’ were in this track Ringo Starr gets acknowledged, with his one and only Beatles drum solo. Then the other three Beatles play lead guitar in rotation; first Paul McCartney, then George Harrison and lastly John Lennon. Thanks for The Beatles lesson Mike.